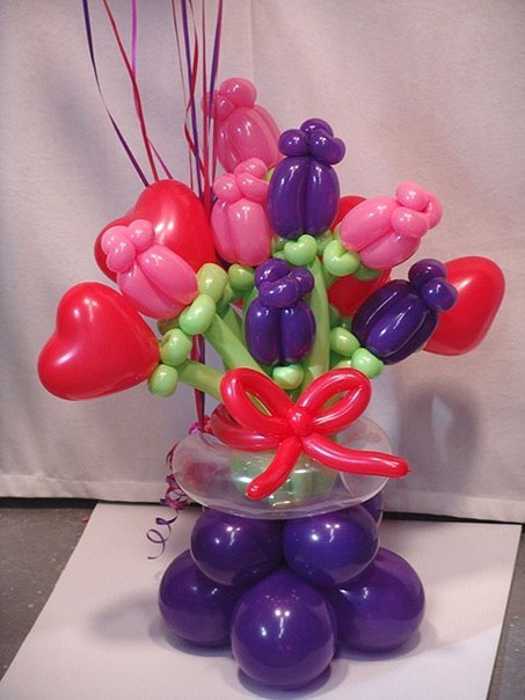 Balloon bouquets are great Valentines Day ideas. Although balloons make gorgeous table decorations and centerpieces for any holiday celebration, heart shaped Valentines Day balloons look especially charming, meaningful and romantic. Valentines Day ideas that include hearts decorations, red heart-shaped balloons and handmade balloon bouquets make this special day full of life and excitement. 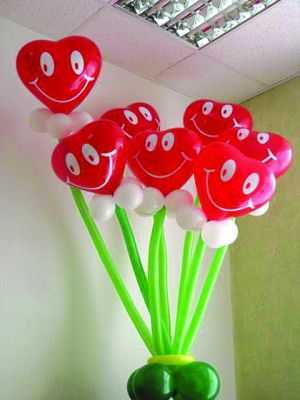 Balloon bouquets are an excellent alternative for fresh flowers and expensive floral arrangements. You can make these decorations of balloon for much less and create balloon bouquets for Valentines Days, which are colorful, unusual and creative. Here is a collection of handmade arrangements and balloon bouquets which make gorgeous, light and colorful Valentines Day gifts and terrific table decorations and centerpieces. 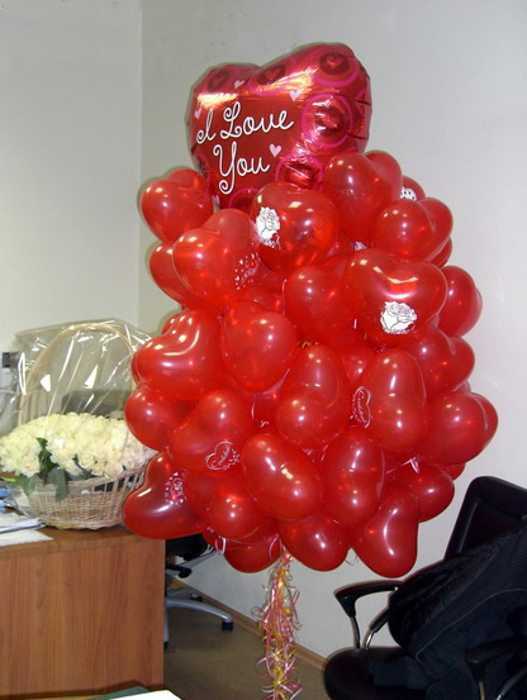 Balloon bouquets are designed with several balloons tied together. They can range in size, color and style. You can adorn balloons with hearts decorations, add confetti inside your balloon or write a special note to surprise and delight your Valentine. To create more elegant flower designs make ribbon of pink or white balloon and decorate your Valentines Day bouquet. Add colorful ribbons, lace and skinny balloons in green color to give your Valentines Day table decor a different look. You can buy balloons from a local party store and create your own balloon bouquets at home. It is a lot of fun to create Valentines Day bouquets and add your own touches to festive and bright table decorations and centerpieces. 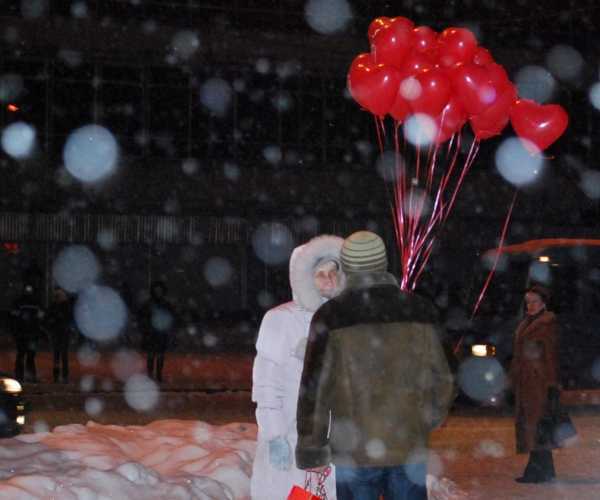 Here are simple Valentine Day ideas to create unique gifts and Valentines Day decorations with red balloons.